Alistair Sponsel, Darwin’s Evolving Identity: Adventure, Ambition, and the Sin of Speculation (University of Chicago Press, 2018, 336 pp.) ~ When I attended (and presented) at the Darwin in the Field conference in Cambridge, England in 2009, I met Alistair Sponsel, then a post-doctoral fellow with the Smithsonian Institution Archives. At this conference, Sponsel re-examined Darwin’s claim that he developed his theory of coral reef formation on the west coast of South America, arguing that Darwin only developed the theory after leaving South America (a “eureka” moment on the island of Tahiti). Almost a decade later, Sponsel has published his book on Darwin’s coral reef theory. From the several chapters I’ve enjoyed so far, this is undoubtedly the most academic of books presented in this post. Sponsel has meticulously surveyed Darwin’s writings to reassess many aspects of Darwin’s coral reef studies during the voyage of HMS Beagle and his subsequent publications on the topic. 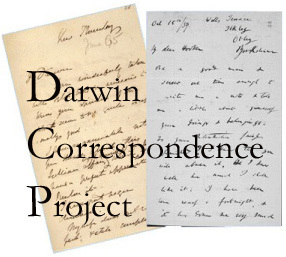 While it is undoubtedly enough to flesh out a valuable contribution to Darwin studies, Sponsel goes further to give new light on the question of why Darwin delayed the publication of On the Origin of Species. Rather than fear of the religious backlash to a book about evolution keeping Darwin from publishing his theory, Sponsel aims to show that Darwin was concerned with how theories should be presented, and his caution stemmed from the critical response to his geological publications of the 1840s. His efforts to gain as much evidence in support of evolution by natural selection was to avoid the “sin of speculation,” as he felt about his coral reef work. I look forward to the rest of the chapters in Sponsel’s book. Anyone interested in how Humboldt influenced Darwin will want to check this one out. Order Darwin’s Evolving Identity: Amazon, Powell’s, Barnes & Noble, Indiebound. Roland Jackson, The Ascent of John Tyndall: Victorian Scientist, Mountaineer, and Public Intellectual (Oxford University Press, 2018, 608 pp.) ~ Later this year the sixth volume of The Correspondence of John Tyndall, for which I was a co-editor, will be published. And this July, I will begin work as a co-editor for the tenth volume with Roland Jackson, who this year published this biography of Tyndall. Having worked on Tyndall’s letters in graduate school and over the last couple of years, as well as writing about Tyndall and Darwin for my graduate paper, I am familiar with the major points of his life and scientific career. Yet I’ve only focused on narrow ranges of his lifetime – there is much more to learn about this towering figure of science in the nineteenth-century that most people have likely not heard of. Almost halfway into this biography, I’ve found Jackson’s narrative style to my liking; and it will be a great resource for information when working on my next volume of Tyndall letters. Order The Ascent of John Tyndall: Amazon, Powell’s, Barnes & Noble, Indiebound. Richard O. Prum, The Evolution of Beauty: How Darwin’s Forgotten Theory of Mate Choice Shapes the Animal World – And Us (Anchor Books/Penguin, 2018, 448 pp.) ~ I have not yet delved into this paperback edition of Prum‘s well-received book (Doubleday, 2017), one of the New York Times ten best books of the year, but I certainly will when I have finished other books in this post. Here is the publisher’s description: “In the great halls of science, dogma holds that Darwin’s theory of natural selection explains every branch on the tree of life: which species thrive, which wither away to extinction, and what features each evolves. But can adaptation by natural selection really account for everything we see in nature? Yale University ornithologist Richard Prum—reviving Darwin’s own views—thinks not. Deep in tropical jungles around the world are birds with a dizzying array of appearances and mating displays: Club-winged Manakins who sing with their wings, Great Argus Pheasants who dazzle prospective mates with a four-foot-wide cone of feathers covered in golden 3D spheres, Red-capped Manakins who moonwalk. In thirty years of fieldwork, Prum has seen numerous display traits that seem disconnected from, if not outright contrary to, selection for individual survival. To explain this, he dusts off Darwin’s long-neglected theory of sexual selection in which the act of choosing a mate for purely aesthetic reasons—for the mere pleasure of it—is an independent engine of evolutionary change. Mate choice can drive ornamental traits from the constraints of adaptive evolution, allowing them to grow ever more elaborate. It also sets the stakes for sexual conflict, in which the sexual autonomy of the female evolves in response to male sexual control. Most crucially, this framework provides important insights into the evolution of human sexuality, particularly the ways in which female preferences have changed male bodies, and even maleness itself, through evolutionary time. The Evolution of Beauty presents a unique scientific vision for how nature’s splendor contributes to a more complete understanding of evolution and of ourselves.” Here are some videos of recent lectures Prum has given on this topic for the Chicago Humanities Festival, Heyman Center for the Humanities, and the American Philosophical Society. 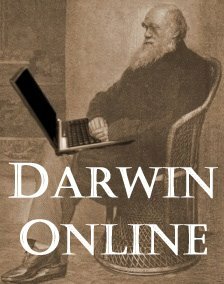 It is worth noting that 2017 also saw the publication of Evelleen Richards’ Darwin and the Making of Sexual Selection (University of Chicago Press), “a comprehensive and meticulously researched account of Darwin’s path to its formulation—one that shows the man, rather than the myth, and examines both the social and intellectual roots of Darwin’s theory.” Order The Evolution of Beauty: Amazon, Powell’s, Barnes & Noble, Indiebound. Adrian Lister, Darwin’s Fossils: The Collection that Shaped the Theory of Evolution (Smithsonian Books, 2018, 160 pp.) ~ Before I had a copy of this book myself, I read a review of it on the website Massive, where it states, “Darwin’s Fossils is overall a dry and dull book. The first chapter or two is lively, pulling together Darwin and a cast of characters, either scientists waiting in Britain for crates filled with samples Darwin mailed back or the crew of the Beagle. That’s just the introduction though, and when Darwin’s Fossils gets to the meat of the text, it’s nothing but data and figures. It’s the worst caricature of science writing made flesh. The illustrations are worthwhile, but little else is.” I am not sure where this reviewer finds that the bulk of the text is just data and figures. Yes, the measurements of the variety of fossils Darwin discovered are included, and the book is chock full of illustrations, photographs, and maps, but what would you expect from a book that’s purpose is to describe “Darwin’s fossils”? But, such data hardly constitutes the bulk of the text. So far, a third of the way into the book, I find the author‘s style to be enjoyable as he not only describes the fossils as Darwin would have found them, but gives the readers an idea of how they fit into Darwin’s developing theory but also what the modern thinking is about the animals these bones came from. The book is split into chapters on how Darwin came to be a naturalist, giant mammal fossils, petrified forests, marine fossils, and coral reefs, with a final chapter on Darwin’s theory development. I look forward to continuing this read (it sits on my nightstand), and think anyone interested in Darwin, paleontology, or travel in the pursuit of science would likewise enjoy it. 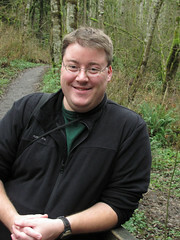 The author, Adrian Lister at the Natural History Museum, London, has also organized the digitization of Darwin’s fossils to be made public online (here). Order Darwin’s Fossils: Amazon, Powell’s, Barnes & Noble, Indiebound. Steve Brusatte, The Rise and Fall of the Dinosaurs: A New History of a Lost World (William Morrow, 2018, 416 pp.) ~ My gateway into learning about Darwin and evolution was through books about dinosaur paleontology, my fascination with the prehistoric beasts spurred by seeing the film Jurassic Park (1993) when I was 15 (the film came out 25 years ago this month!). Two of the first dinosaur books I read were wide-ranging, covering what was known about a variety of dinosaurs by examining recent discoveries and theories, across the globe and with scores of paleontologists. John Noble Wilford’s The Riddle of the Dinosaur (1985) and Don Lessem’s Kings of Creation (1992), copies of which both still sit on my bookshelf, grabbed my attention from cover to cover. Brusatte, a paleontologist with at the University of Edinburgh, likewise brings readers up to date on the current thinking about the lives of that group of vertebrates that ruled the planet for more than 150 million years, why they went extinct, and about the evolution of birds from theropod dinosaurs (where Darwin gets a mention when Archaeopteryx is discussed). Although I never went on to get a degree in paleontology like I originally intended, I always look forward to a good book about dinosaurs. Order The Rise and Fall of the Dinosaurs: Amazon, Powell’s, Barnes & Noble, Indiebound. A new series of books from Springer aims to publish important papers/lectures from the history of science, with supplemental information about the original author and their work. Of the five titles so far, one may be of interest to readers here: naturalist Louis Agassiz’s series of lectures given in Boston in the fall of 1846. It is edited and annotated by Agassiz biographer Christoph Irmscher, who published Louis Agassiz: Creator of American Science in 2013. Louis Agassiz, Introduction to the Study of Natural History (Classic Texts in the Sciences). Edited and annotated by Christoph Irmscher (Basel, Switzerland: Birkhäuser Basel/Springer, 2017), 135 pp. Publisher’s description This book features Louis Agassiz’s seminal lecture course in which the Swiss-American scientist, a self-styled “American Humboldt,” summarized the state of zoological knowledge in his time. Though Darwin’s theory of evolution would soon dismantle his idealist science, Agassiz’s lectures are nonetheless modern in their insistence on the social and cultural importance of the scientific enterprise. An extensive, well-illustrated introduction by Agassiz’s biographer, Christoph Irmscher, situates Agassiz’s lectures in the context of his life and nineteenth-century science, while also confronting the deeply problematic aspects of his legacy. Profusely annotated, this edition offers fascinating insights into the history of science and appeals to anyone with an interest in zoology and natural history. Given the high cost of this volume ($150), it is surely a title intended for libraries, so do indeed request your library purchase it if it will be useful to you or history of science students at your university.